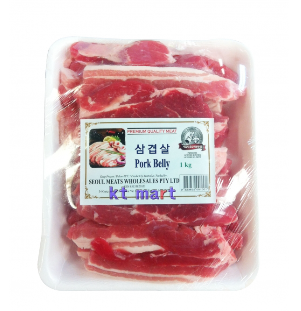 Samgyepsal (Korean pork belly) is a popular Korean dish that is commonly served as an evening meat. Usually diners grill the meat themselves and eat directly from a grill. Commonly dipped in sesame oil mixed with salt and pepper.